It’s time to show the world who’s the king of slotting! Battle other players in Cashimo’s Royal Race: a new slots tournament that is only available for UK players. The most dedicated and lucky players can enjoy a range of cash and bonus spins prizes without wager requirements! The Cashmios are back with a brand new slot race; and this time you can play a huge selection of popular games for a chance of winning great prizes. The race runs between 12:00 and 23:59 CET on Saturday 9th of June, and the goal is to earn as many race points as possible during the race period to end up at the top of the leaderboard. Simply bet at least £0.50 per spin and win on awesome games such as Mighty Arthur, Queen of Riches and many more to earn points. You can check out the full list of eligible games at Cashmio. There are three ways to earn points. Each winning spin will give you one point, three winning spins in a row is worth five points, and big wins (wins over 10x your bet size) will add 25 points to the board. Play as much as possible to increase your score count, and the top 10 players will go home with a sweet prize in their pockets. First place winner gets £200 in real cash, and several winners will get no wager spins on King of Slots! There’s even more fun to be had at Cashmio this week, with two bonus spins offers lined up for you. Everyone loves bonus spins, and this week you can claim spins on beloved slots such as Lost Relics and Lucha Maniacs. Check out the full details below. 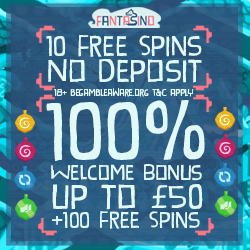 8th of June: Deposit £20 or more and get 30 bonus spins on Lost Relics. The offers are available for players who have made a deposit at Cashmio previously, so check your inventory to see if a bonus spins coin is available. Click on the link to create an account at Cashmio, and check out the bonus terms and conditions before playing. Up to 70 bonus spins could soon be yours!